The term Yoruba refers to several western African peoples, including the Ife, Ibadan, and Egba. Europeans called all these groups Yoruba because they shared commons features of language, political organization, and culture. 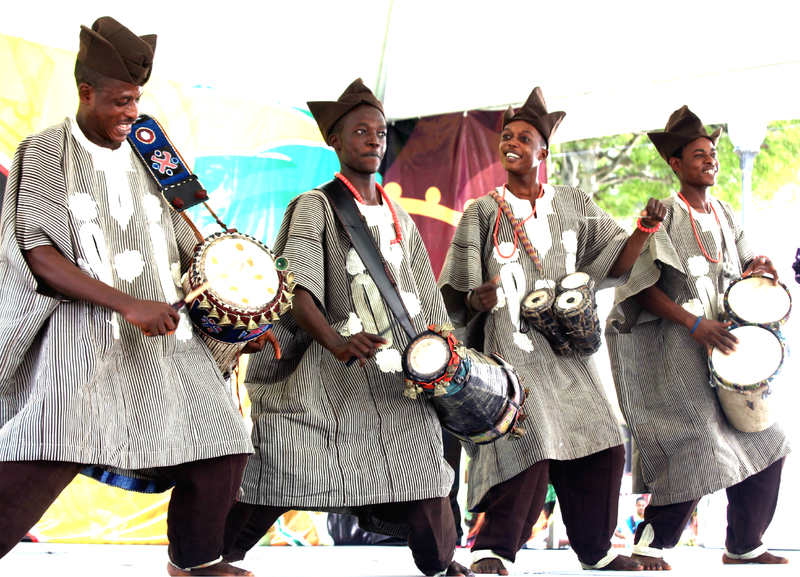 However, when referring to themselves, the Yoruba tend to use the names of their individual groups. Located mainly in southwestern NIGERIA, BÉNIN, and northern TOGO, the Yoruba number more than 25 million. The Yoruba are descended from the founders of kingdoms that arose as early as the 1300s, although these kingdoms probably never formed a single empire. The Yoruba have long followed an urban style of life. A typical settlement consists of a densely populated town surrounded by villages, with the palace of the oba (king) at the center. In the traditional Yoruba political organization, the king is advised by a council of chiefs, leaders of the smaller villages around his town. Although the Yoruba are primarily town dwellers, their economy has always been based on agriculture. Farmlands are often at some distance from towns, so the men build dwellings near their fields and travel back and forth between them and their homes in town. Farmers grow yams, corn, and millet for food and cocoa for export. Women traditionally do not farm but control a complex market system, and a woman’s status depends largely upon her skill as a trader. Yoruba arts and crafts—especially masks, pottery, and bronze sculptures—are widely known outside of Africa. Both Islam and Christianity have a large following among the Yoruba. However, many people maintain traditional beliefs as well.